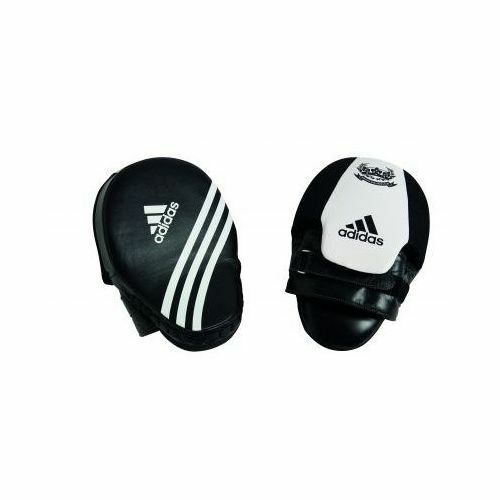 The Adidas sparring focus mitts are made from genuine leather and have a finger shield with a ClimaCool top. At the palm area there is a moisture wicking, super absorbent and quick drying fabric with anti-stick properties. 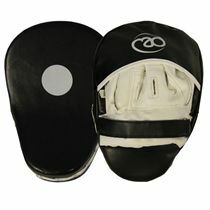 The heavy 9oz padding is made from mixed EVA foam. The mitts have a leather wrist hook and a pull strap Velcro closing. 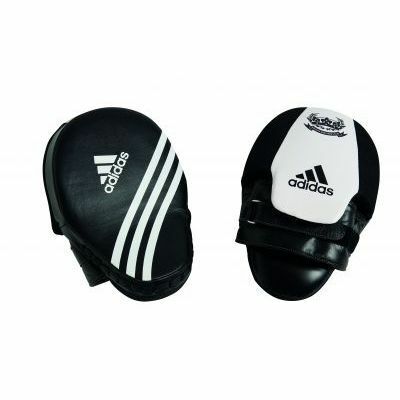 for submitting product review about Adidas Sparring Focus Mitts.